This book is action packed and full of people who don’t give up. Vanessa is a girl who comes from money but is very real and has flaws. I loved reading her book. Another winner from Ms. March. Vanessa and Con have known each other since childhood, that's how long Con has been in love with Vanessa. But, Con has always felt that she was above him. Until one night, and he doesn't remember any of it. Two years later, Vanessa shows up at his door and the rest is a fantastic romance! Con and Vanessa's book is not to be missed! Everyone loves a bad boy with a good heart! That is just what you are going to find with Con. 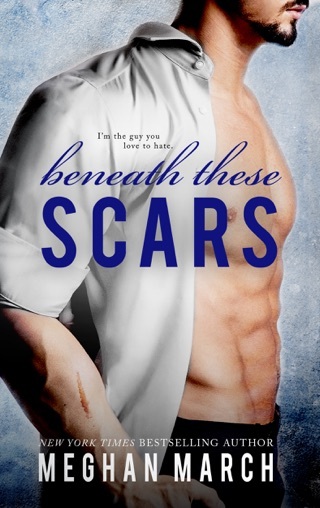 The tattooed bad boy with a reputation has something that rich girl, Vanessa Frost needs, and it turns out she finds out that underneath the rough exterior she thought she knew was a man with a heart of gold. Con spends his days tattooing, running businesses, and helping under privileged youth in New Orleans. He was a foster kid, in and out of the system, until Joy and Andre Leahy brought them into their lives. They were killed, and since then Con has been following lead after lead to find his parents murderer. Vanessa Frost is “high society” in New Orleans and Con has something she needs, to keep her job at the helm of a foundation that had been in her family for years; so a deal, of sorts is brokered. Both knowing that there wasn’t place for each other in the others’ worlds. Or is there?? To say I was excited for Constantine Leahy’s story, would be an understatement. I couldn’t wait to get my hands on this flawed man. I knew there was something hiding under all of that ink and I had to know what it was! 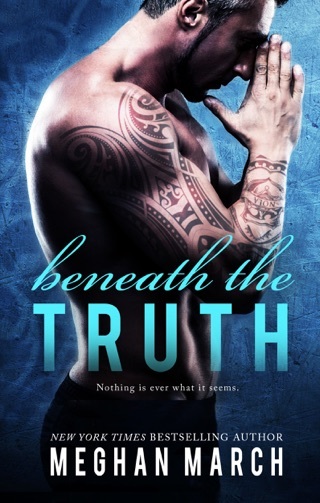 I was first introduced to Meghan March’s writing with Beneath This Mask. The first book in the series. 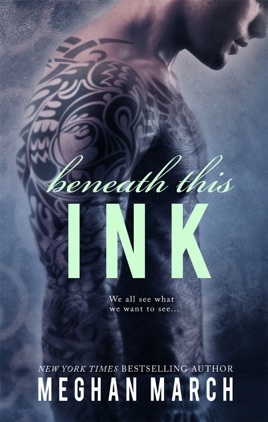 This book, Beneath This Ink, is the second, but can definitely be read as a standalone, and believe me when I say you will not want to miss anything March writes. I can’t urge you enough to pick up this book! You won’t regret it! Meghan’s characters are complex. The men are strong, and the women are even stronger. There is something about her story lines that just sweep you up and don’t let go until the last page. They leave you wanting more, and I can’t wait to see what is coming next.